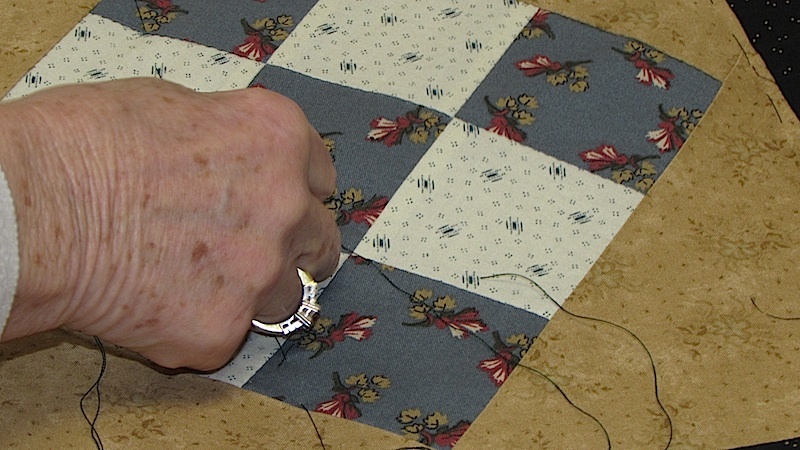 In a diary written during 1861 by an 18-year-old girl - McHenry County resident Adelia Thomas, she makes many references to piecing, quilting, gathering with other friends and neighbors – even sewing on a machine for others. But Adelia also wrote about many male acquaintances who signed up and marched off to serve in the Civil War. It is not hard to imagine, as the conflict wore on, that she would have quilted and tied comforts for the soldiers. It has been estimated that 250,000 were produced and donated to the U.S. Sanitary Commission during the war. 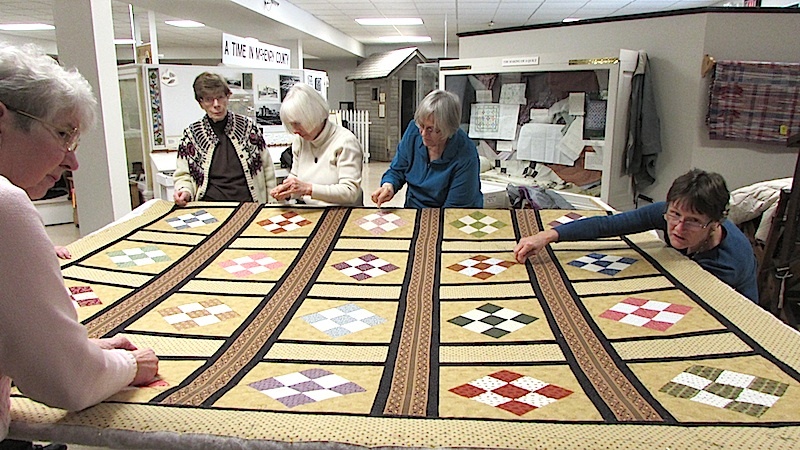 This year the Heritage Quilters have gone back 150 years to the 1870s, five years following the end of the Civil War. By this time there were fewer shortages. Prices, which had risen tenfold during the Civil War, have dropped. And women can once again begin to quilt for family at a more leisurely pace – not with the frenetic zeal required during the war. Still, there was some urgency. 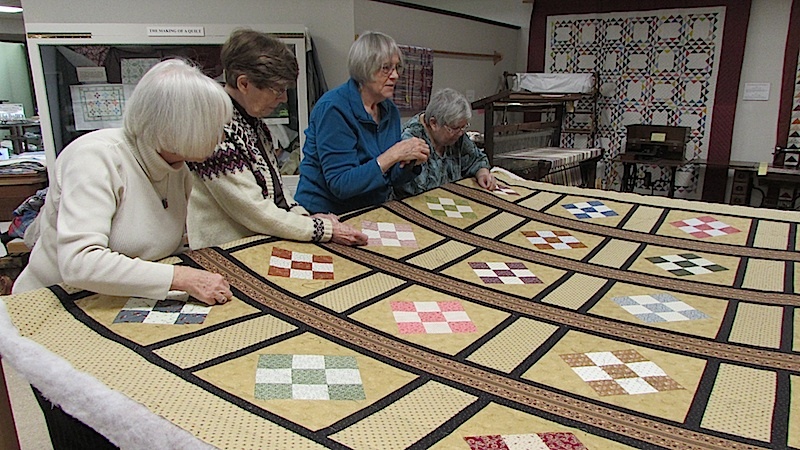 The majority of those quilts sent to the battlefront did not survive and did not return home with veterans. Our Heritage quilt this year, titled Admiring Adelia, is made from two blocks: a nine-patch, an old favorite which received widespread use in the 1800s, and a horizontal rectangle using a constant print. Strips of these blocks are set apart by a sashing of black, and a print that has been fussy-cut and pieced to produce period visual interest. A variety of colors are used for the 9-patch and all were available and popular during our time period around 1870. Basting Day is scheduled for Wednesday, March 14, at the museum, 6422 Main St. in Union. 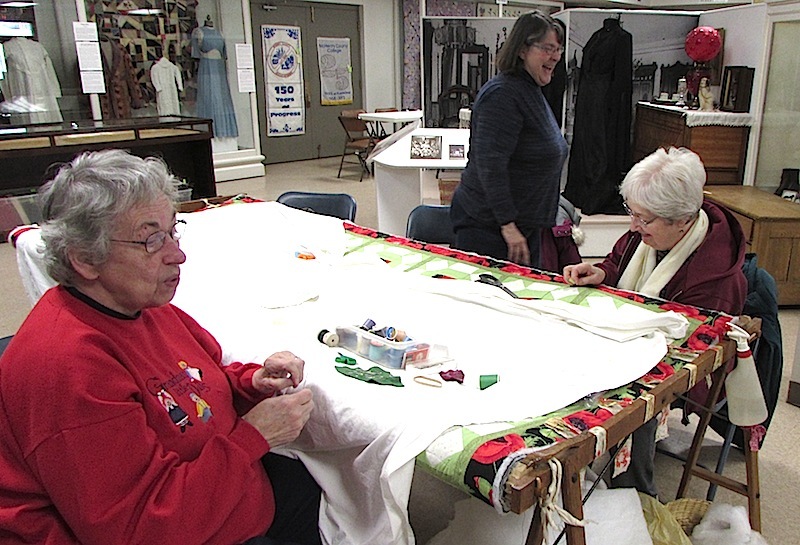 Those wishing to help set up and ready the quilt on the rack should come at 9:30 a.m. "Basting," the long stitches used to hold the the top, batting and backing of a quilt together while the quilting is done, starts at 10 a.m. It will be followed by a "brown bag" potluck, in which everyone brings a sandwich to cut in half to share plus a dessert. For information call 815-923-2267 or visit www.gothistory.org. * You may find it interesting to read the book "Remembering Adelia," by Kathleen Tracy, since many county people, towns, and ‘doings’ are mentioned.